If these expenses are an example of presidents acting frugally in the face of funding shortfalls, taxpayers should be very concerned. When pro wrestler Ric Flair was at the top of his game, he'd often end TV interviews by describing himself as a "stylin', profilin', limousine riding, jet flying, wheelin' n' dealin' son of a gun!" Who would have thought that this would become the de facto motto for B.C. 's 25 university and college presidents? Using the Freedom of Information Act, the Canadian Taxpayers Federation recently collected detailed expense reports from the heads of B.C. 's post-secondary institutions. The spending was astounding: in a span of two years, the 25 presidents spent nearly $1.1 million in airfare, nearly another half million on hotel rooms, and more than $200,000 on meals. Collectively, the 25 expensed $2.4 million, an average of $94,566 each. And like Ric Flair, there were plenty of charges for jet flying, and a few for limousine riding. A staggering number of overseas trips were reported, and it was clear from the airfare price tags that these presidents flew in style. The president of UBC was the highest flyer, taking 30 trips with airfares of more than $2,000. His expenses included a $21,987.35 airfare for a Hong Kong/Berlin/Paris trip. Ten airfares to eastern Canada never cost less than $2,000 -- including a couple of $6,000 flights to Ottawa. Rock stars would be jealous of this kind of treatment on a world tour. When was the last time you took a flight between Kamloops and Vancouver? The Thompson Rivers University president billed for 28 flights to Vancouver, including one that cost $954. That's on top of four flights to Victoria, including one for $1,232.96, and two to Prince George. That's an average of one inter-B.C. flight every three weeks. Remember how Legislature Speaker Linda Reid was forced by public pressure to pay back her husband's share of a junket to South Africa? The president of the University of Northern B.C. charged expenses, including airfare, for his wife on nine separate trips. The University of Victoria's president took along his spouse on two expensive trips to China and India. Not every president went crazy with the taxpayer's credit card, though. The president of BCIT expensed less than $20,000 over two years. Vancouver Community College and New Caledonia presidents were just over that mark. Should university and college presidents travel from time to time? Of course -- but in a style befitting a public servant acting on behalf of taxpayers and post-secondary students. During pre-budget consultations, the B.C. government heard from the six largest universities that a $25 million funding boost was desperately needed: "Universities face unfunded cost pressures such as wage increases, non-wage inflation costs, and carbon tax levies," the Budget committee report noted. "These cost pressures... are outstripping universities' ability to achieve efficiencies and hold the line on program spending." Two things need to happen. First, post-secondary institution boards of directors need to push presidents to control expenses. This may cause uncomfortable conversations about accountability, but it is vital. Second, presidents need to follow the lead of B.C. MLAs and post their expenses regularly. Taxpayers, watchdogs, media, and students deserve to know how money is being spent in our academic institutions -- and hopefully this accountability will cause presidents to think twice before they fly first class. Ric Flair retired broke, the jet flying lifestyle having proven to be unsustainable financially. 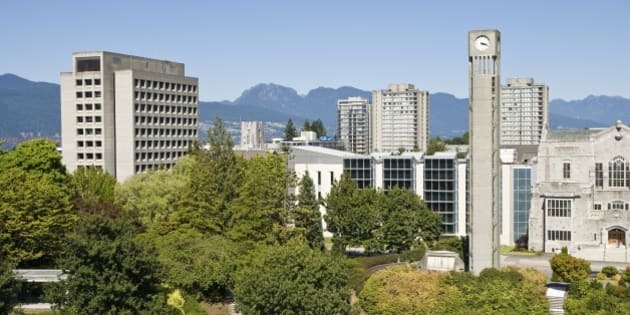 Let's hope our university presidents smarten up before B.C. taxpayers end up broke, too.